I am very excited because our upcoming Disney Vacation is 2 months away! We have been planning this trip for what feels like forever, and the fact that it is so close makes me insanely happy! 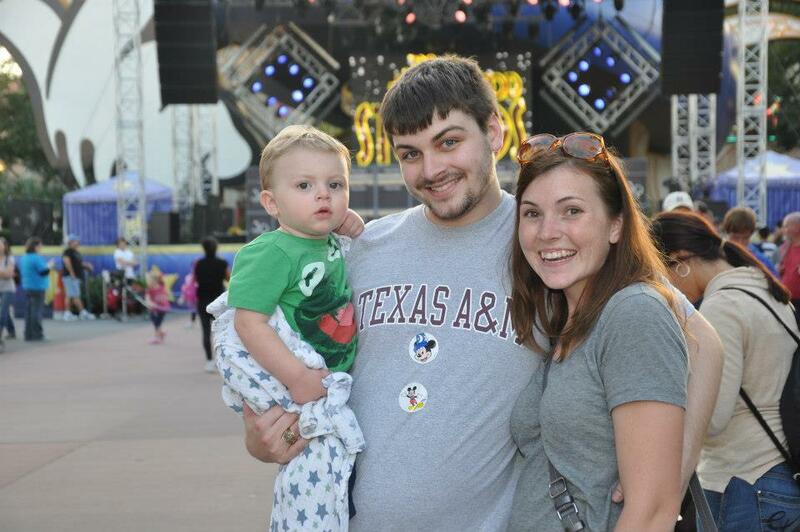 The last time we went to Disney the 3 of us was November of 2012, William and I have been back twice since then but Jeff couldn't come because of school. I'm really looking froward to this trip because it will probably be the last big family vacation we go on as a family of 3. Airline tickets are purchased, park tickets are being purchased, Fastpass+ has been planned, and dinner reservations have been made! Next is packing, well making a packing list. Over the past few weeks I have been thinking about how much fun it would be to DisneyBound some of my outfits while we are there. A few weeks ago, I put in a custom oreder for a skirts from Daily Sparkle. You can check out her instagram to see some of the amazing applique skirts she has made. The one I am having her make for me is going to have a Jungle Cruise Boat and a hippo on it! I think I might make a knit top to go with it. 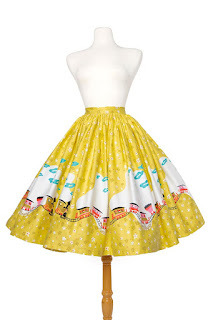 I also got a skirt that has an amazing Mary Blair print from Pinup Girl Clothing. It is one of my favorite things to wear to work because it is so bright and cheery, which is a great contrast from my drab office. Jeff and I are going to go on a dinner date while we are at Disney (thank you grandparents!) and I will probably wear it that night. There are a couple of items that I am hoping to have the time to make before the trip. Number one on that list would be a dress polka-dot dress or skirt so that I can channel my inner Minnie Mouse. And I also bought a couple of shorts patterns when Indie Sew was having a sale. I recently went back to staying home full-time, so I should be able to get some of these things done before the big trip! Oh I love Mary Blair!!!! That's going to be so great! I hope you have a great time. We can't wait for our next trip to Disney World in 2017.